Boyfriend to release a Xmas premium single 'Pinky Santa' in November! 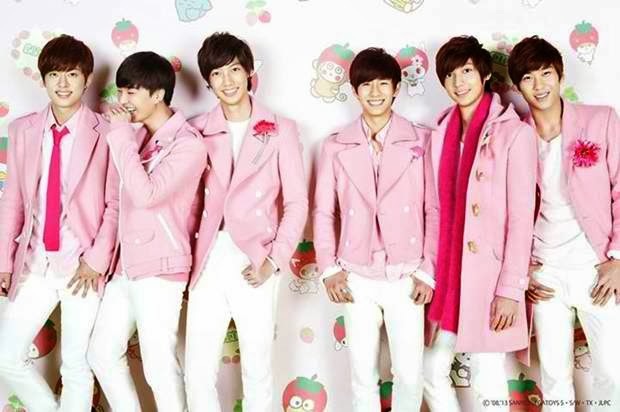 Boyfriend is going to release a special Xmas premium single in Japan earlier than December. The single is entitled 'Pinky Santa' which obviously utilizes color pink, but pinky also means the smallest finger which is used when promising. CD + Photo Album (A4, 48 pages) + CD benefits (a record of radio program ‘Love Community Radio Station’ during which BOYFRIEND’s members try to solve listeners’ love problems). Promise to grab a copy!